Simpor is the national flower of Brunei. 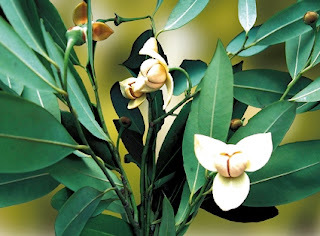 Rumdul is the national flower of Cambodia. Moon Orchid is the national flower of Indonesia. 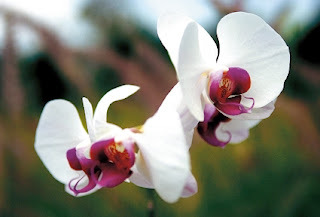 The Moon Orchid or Angrek bulan (Phalaenopsis Amabilis) is one of Indonesia’s three national flowers. The other two are Jasminum sambac and the Rafflesia arnoldii. The Moon Orchid is one of the longest blooming orchids. The inflorescence are branched and can last from two to six months before dropping. The Moon Orchid usually blooms two to three times a year once it has reached maturity. It thrives in moist temperature so it is widely found in the lowlands of Indonesia. 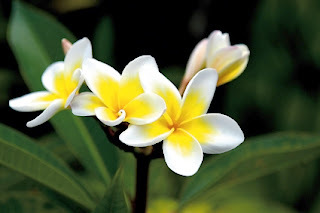 Champa is the national flower of Laos. 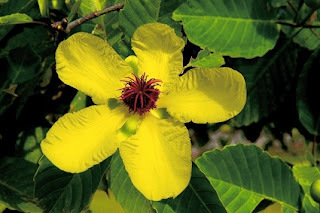 The five-petaled Bunga raya (Hibiscus Rosa-Sinensis) has been Malaysia’s national flower since 1960. Symbolically, the five petals of the bunga raya represent the “Five Principles of Nationhood” – Malaysia’s national philosophy in strengthening national unity and tolerance — while the red colour represents courage. 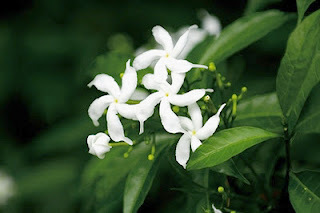 The flower can be found throughout the country and parts of the Bunga raya’s shrub have medicinal and cosmetic uses. 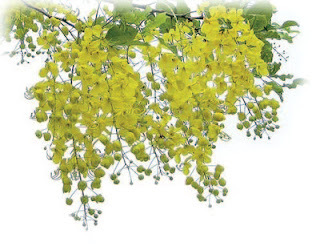 Padauk is the national flower of Myanmar. 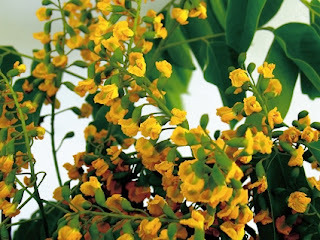 The Padauk (Pterocarpus Indicus) blossoms in tiny fragrant yellow-gold flowers after the first showers in April, coinciding with the Myanmar New Year festival. Once in bloom, the entire tree turns gold overnight. The Myanmar people regard the Paduak tree as the symbol of strength and durability. 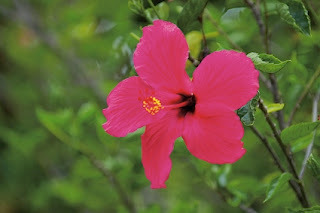 The beautiful flower also signifies youth, love and romance. The flower plays an indispensable part in traditional and religious ceremonies. The Padauk can be found throughout the country. The wood of the tree is also used for making furniture. 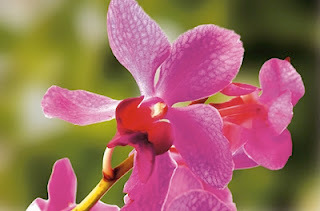 Vanda Miss Joaquim is the national flower of Singapore. Ratchaphreuk is the national flower of Thailand. Lotus is the national flower of Vietnam. The people of Viet Nam regard the Lotus as one of the four graceful flowers and plants, along with the pine, bamboo, and chrysanthemum. Known as the ‘flower of the dawn’, the Lotus is found throughout the country at lakes and ponds. To the Vietnamese, the lotus is the symbol of purity, commitment and optimism for the future. 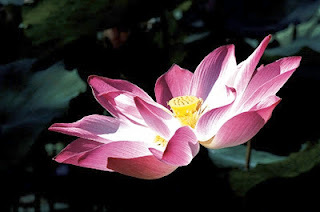 The elegance of the lotus is often cited in the Vietnamese folk songs and poems.